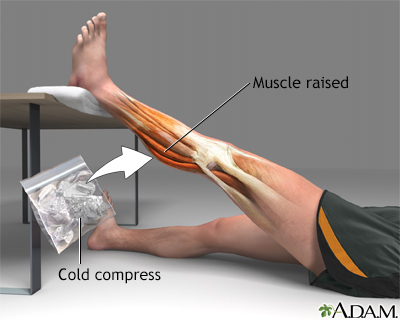 Leg strain is also known as a pulled muscle. It results from damage to a muscle from excessive physical activity. Proper treatment of a pulled muscle includes a cold compress, rest, and elevation of the damaged muscle above the level of the heart.